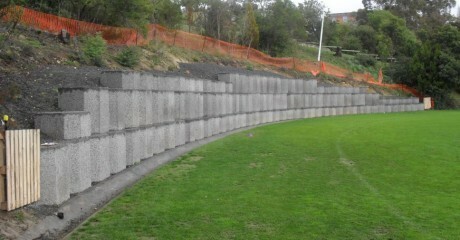 The construction of a mass block retaining wall bordering the school oval to prevent land slip. 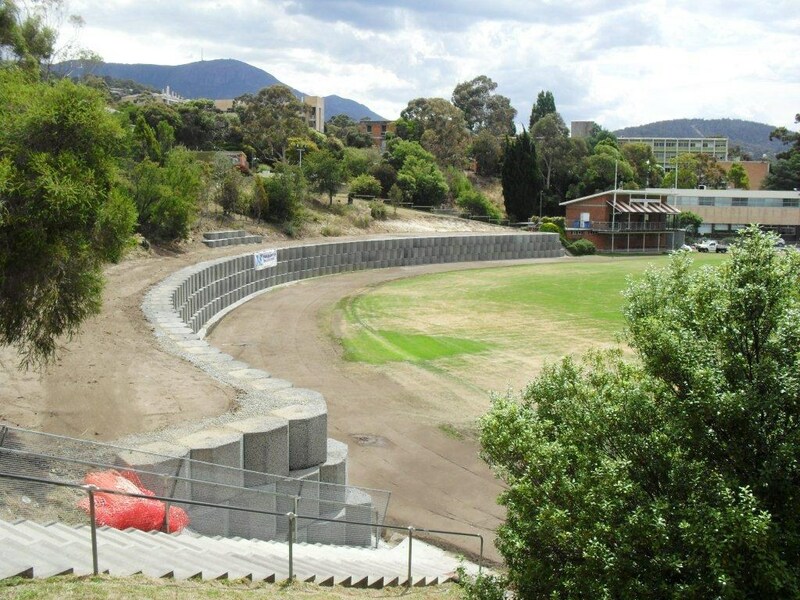 The existing oval was to be treated with high sensitivity to protect its surface and watering system. Construction of a temporary access road over the oval surface. Excavation and removal of the existing bank and footing material. Turf trucks were used to transport the blocks to prevent damage to the oval. 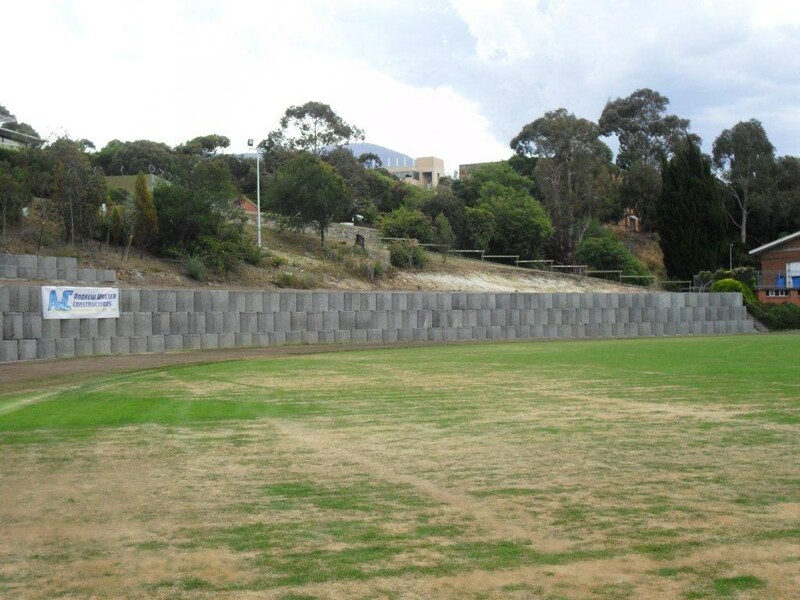 Sub-soil drainage and geofabric were used behind the wall to collect ground seepage.